In the kings league I see people who have a delta of about a million!!!!!!!! how the hell do they do it??!! 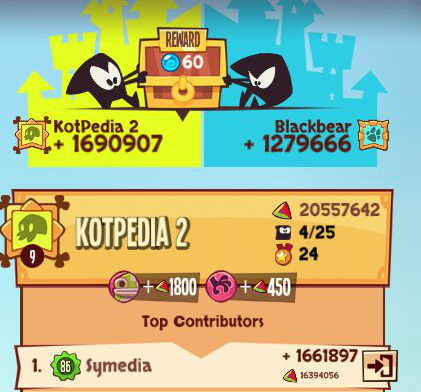 lets say they are always in a ritual and nobody steals anything... that means they have 12 new spots every guild battle so according to my calculations they fill each one of the spots with a 100k gem. how do they do it?!?!?!?! They play and skip hours per day and may spend like 1 million or over coins just skipping a day. They find golden gems, sometimes you may find even 500k or 900k gem. But the point really is you have to play and skip a lot to have good chances to get a base with golden gem and then again a lot of luck stealing it, since the base is probably really hard. Edited by Lelu, 24 August 2015 - 09:49 PM. There is a ton you can do if you are willing to spend / buy a lot of orbs. I once got attacked by a very active player from a top guild. I was really wanting to revenge well on them for stealing a gem of mine. I kept a close eye on their base for the next 3 days while they were in my revenge log. During 3 days I saw the same player in at least 4 bases (it could have been more too, but I saw 4 different ones). I normally sit in a single base for about a week (12 hours per tooth * 10 teeth) plus some downtime in between. If you're going to swap bases 4+ times in 3 days, it basically means you're using orbs to speed up your totem rituals. If you're using that many orbs for rituals, you might as well use orbs to mine gems faster as well. So in theory, you could get an unlimited delta almost in a day without really even raiding any bases. I don't think that's what these players do, but you do have more options when you play the game that way. are you one of those people? where do they get so much money for skipping? But the top players, Like Gloubi-Boulga, has collected 70 million in 5 days and he's probably skipped most of the cash and found great gems. skip ... skip and more skips. I stole a 999067 gem a couple days ago, so I promise that those huge gems are out there. All you have to do is get lucky and find them. Haha, you are doing amazing Symedia. Hopefully not for too long, but good work!! I'm level 73 and today I found 1 totem again with 2 golden gems, couldnt get them though. I do about 1000-2000 skips per day. Top players may do ten times more. Edited by Lelu, 25 August 2015 - 01:43 PM. If you're using that many orbs for rituals, you might as well use orbs to mine gems faster as well. I wouldn't say that's such a good strategy. Orbing gem mines is a terrible strategy. You can get much bigger gems with a simple raid. At 45+ you should be able to find good gems and high golds..
"when thives are conbined nothing can stop them!" "me and crystals are the tab team!" Edited by DC Shadow ninja, 12 September 2015 - 01:53 PM.